Bidding on your important keywords and securing top positions on Google is without a doubt the fastest way to drive potential customers to your website. To get a top position with Google Adwords is not as easy as bidding more on your keywords than the #2 bidder. These days there are a number of factors to consider including keyword matching, quality score, location targeting and landing page destination. We can manage your campaign and usually decrease your click cost while increasing the amount of searchers who view your ad and ultimately click through to your website. 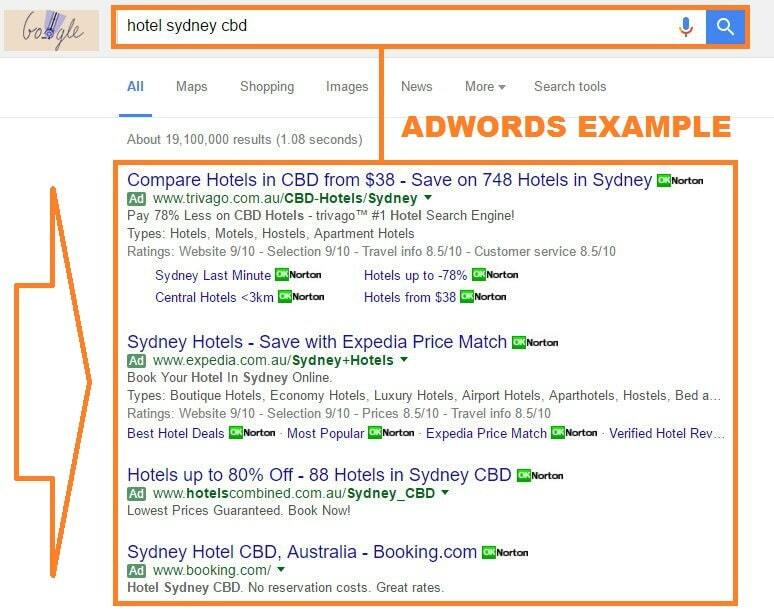 Call us today on 02 9327 8599 to discuss Google Adwords management services with one of our professional online advertising consultants. © 2005-2018 Pay Per Click Advertising. Google, AdWords™ and Google AdWords™ are trademarks of Google Inc.